Have you been plagued by persistent pain? Imagine waking up pain free. You can, with all natural chiropractic care. Call (403) 258-4422 to book your free consultation with our experienced chiropractors today. 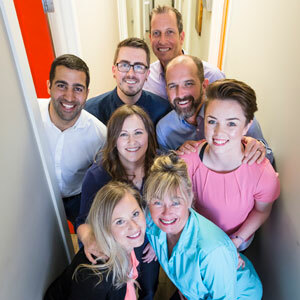 At Chiropractical in South Calgary, second generation chiropractors Dr. Dan Findlay & Dr. Don Findlay are passionate about keeping every patient who walks through our doors healthy. From newborns to 90-year-olds and every age in between, patients of all ages can benefit from safe, natural and effective chiropractic care. Whether you have back pain, neck pain, headaches, sports injuries like shin splints, work related injuries like wrist pain from carpal tunnel or foot pain from plantar fasciitis, we can help you return to all the activities in life you enjoy. Find our more at your free consultation. Wondering If We Can Help You? Book a FREE Consultation! If you’ve gone elsewhere and haven’t experienced the results you need and want, we will do whatever we can to help you. We provide convenient payment plans, and offer direct billing to Blue Cross. Same day appointments are available. Call (403) 258-4422 now to book your free consultation with our South Calgary chiropractors. Call (403) 258-4422 or book your free consultation online now! Top Recommended Chiropractors in Southwest Calgary. Serving Haysboro & Southwood.